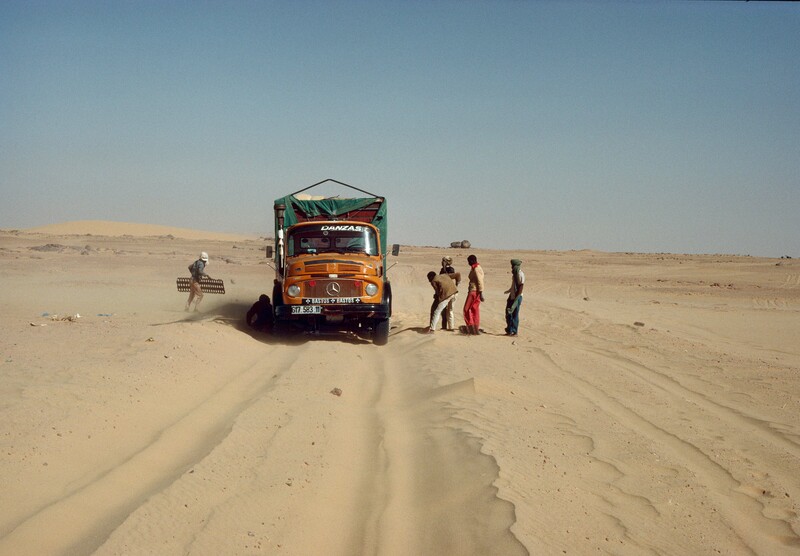 The Truck Gets Stuck in the Sand, 1988 Algeria, Sahara Desert South of Ghardaia Sometimes the truck got stuck. Then they would bring out the metal racks. They wedged them under the tires to free the vehicle.